It must seem like an impossible job auditioning for a role as iconic as the one Jodie Whittaker found herself reading for. But here she is: the new Doctor Who, ready and raring to go. So, how did that come about? 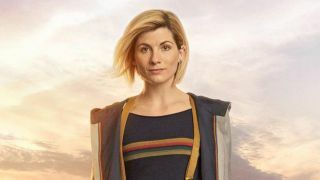 Showrunner Chris Chibnall spoke to our sister publication SFX magazine about the moment he knew Whittaker was going to be the thirteenth Doctor – and how he made the audition extra difficult for the ex-Broadchurch star. Subscribe: Sign up for future issues of SFX Magazine to get exclusive features about the latest shows and movies including Venom, Star Wars Resistance, and more. There you have it. Countless actors, five scenes, and one instant impact. After all that: Jodie Whittaker has the entire universe at her feet. You can find out more about the new Doctor Who season and much, much more in the new issue of SFX, out Wednesday, September 12.